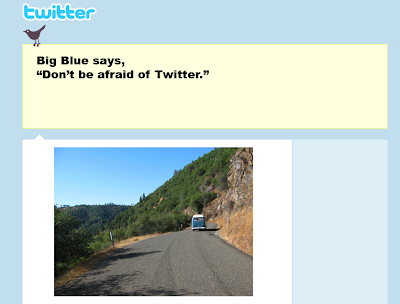 Big Blue's Online Carburetor: Follow us on Twitter while on our Oregon bus trip! Follow us on Twitter while on our Oregon bus trip! We are off to Oregon for about 9 days. Therefore, the blog will come to a halt for about a week. The thought of updating the blog while traveling seems a bit too much for a vacation. I know a lot of people do it, but frankly, I don't want to have to commit to keeping up with it and want to enjoy the down time. I will offer this. 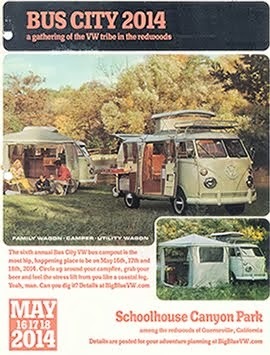 I plan on using Big Blue's Twitter feed to post any interesting VW things and camping updates along the way. I resisted Twitter, but this seems like the easiest way to document a vacation while it is happening. And, I can update it from my phone, and post pictures, so it will still be pretty good stuff (prepare, VWs of Oregon, for the fast camera of the iPhone!). 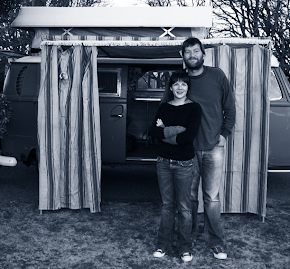 The blog will fire up again when Big Blue is back and resting in the garage and we've had a shower.